Home > 12 Packs Of Lobsters! > Land O' Lakes Butter > Fresh Lobsters! > Live Lobster 2 Packs! > Two pack of 2 - 2 1/2 Pound Live Maine Lobsters! 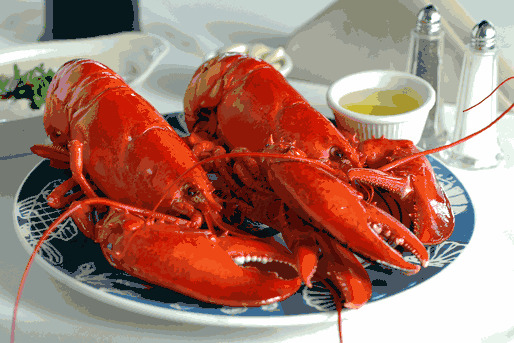 Our Two Pack of "Select" 2-2 1/2 pound Live Maine Lobsters is a Great And Popular Gift Idea! These are considered the Perfect Select Size Lobster! Live Lobster 2 Packs! • Live Lobster 4 Packs! • • Live Lobster 6 Packs! Our Two Pack Of Two Pounders Is An Excellent Choice! Two Fresh Live Maine Lobsters Packed Fresh Just For You And Shipped Fresh Overnight! This Is A Great Gift Idea For Any Occasion! Order Your Lobster Two Packs By 10am EST, And Enjoy Them For Dinner Tomorrow! Live Lobsters Also Make A Great Gift Idea For Your Favorite Seafood Lover! How Easy Is That! Best Dinner this year! Great Company! Lobster Guy. Can\'t wait to order again! !